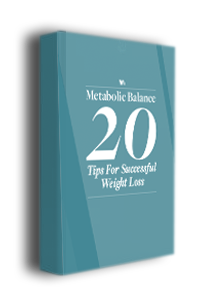 Our e-book ’Metabolic Balance - 20 Tips For Successful Weight Loss’ is full of helpful information, divided into four easy-to-follow sections. Our e-book ’20 Ways To Stop Binge Eating’ is full of helpful information, divided into four easy-to-follow sections. It is important you are fully motivated and committed to the positive disruption and change this programme will bring. Embrace this, and success will be your reward. With Metabolic Balance, preparation is 80% of the job done. We will give you a personalised plan for weight loss, but for success you must prepare for the journey ahead. Plan, take action, learn, modify and repeat. Success is built on grit and persistence of doing what you know is good for you, even when you don’t feel like it. You want this, so let’s get going! We are social beings, and live connected lives. So reach out and ask for support from those who care about you, and professionals who are experienced in coaching weight loss success. We always keep your personal details safe. In exchange for an e-book we believe you will find valuable, your information will allow us to improve your experience of WeightMatters, by sending you relevant articles you may find useful, and sending you some marketing material that may be of value to you. Our e-book is FREE. We hope you find it helpful!